‘Jesus, this looks incredible. I think I need to chance my arm at going over’. 11 appearances in for Ulster and Will Addison has found a home, and appreciative fanbase. In truth, he had it after his first outing for the province. Will Addison made his Ireland debut, two months after his first game for Ulster, in November against Italy at Soldier Field, Chicago. If it seemed he was fast-tracked to the Test set-up, Addison's debut was almost six years in the making. The former England U20 star's mother is from Fermanagh and former Sale teammates Cillian Willis and Tony Buckley were quick to pick up on the link. As early as 2012/13, former Ireland coach Declan Kidney was alerted to the possibilities of the versatile Addison declaring for Ireland. 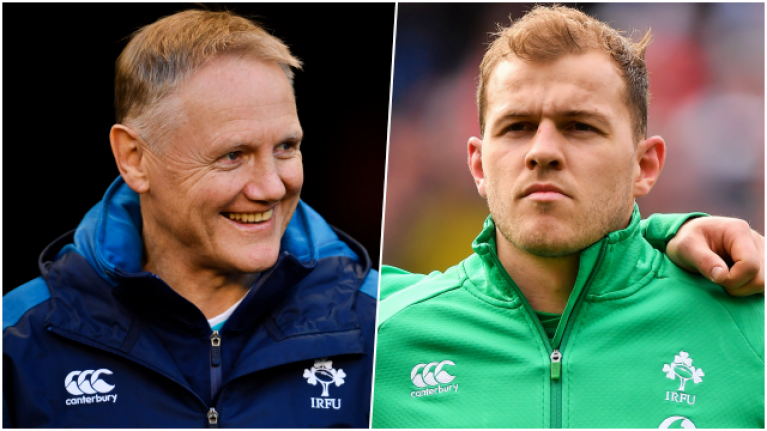 On Baz & Andrew's House of Rugby [from 18:00 below] Addison sat down with former Ireland internationals Andrew Trimble and Barry Murphy to talk about his Irish roots, his move to Ulster and his World Cup ambitions. Addison made his senior debut for Sale in his late teens and played over 100 times for them, in the Premiership and in Europe, before his 2018 move to Ulster. "I can remember, I played Clermont in the European Cup, about four of five years ago, and I had a mysterious phone call, and it was Joe on the other end of the line. So I had a quick chat with Joe then, maybe for a couple of seasons, I was hindered by injuries along the way. And it was around this time last year I was… it’s actually quite funny... I kind of conned my friend Peely (Ulster backs coach Dwayne Peel) into signing me here, almost. "I was on holidays with one of Peely’s good mates, Mark Jones, who plays at Scarlets now. I was watching Six Nations, or an Irish game, and was like, ‘Jesus, this looks incredible. I think I need to chance my arm at going over’. "So he texted Peely and said, 'Oh listen, Will might be keen on leaving Sale because he’s got a clause in his contract and then it went from there'." The text went out and Addison, in late 2017, made a trip over to Belfast to meet with Peel and Ulster's coaches. It was a tumultuous season - with two players involved in a long-running court trial, veteran players retiring, bad injuries, patchy form and head coach Jono Gibbes' departure - but Addison was determined to make the move work. 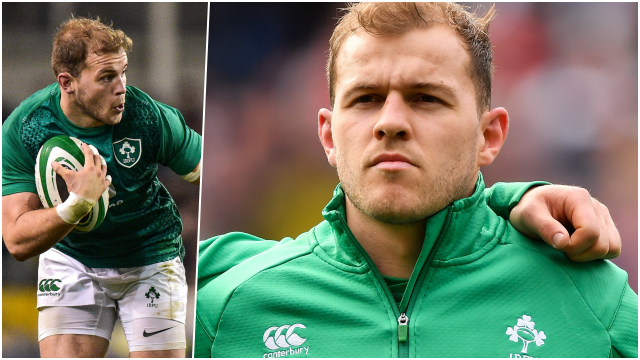 Joey Carbery and Ross Byrne may have baulked at the prospect of a move to Ulster but Addison, given his familial links, Irish ambitions and enthusiasm for the challenge at hand, was game. The 26-year-old told Trimble and Murphy about two separate phone calls with Schmidt that convinced him he was making the right move. "(Back in 2014/15), it was a bit of chat about how I was playing at the time, and a few pointers, and then whether I had any interest in coming over and whether that was something I was interested in. Obviously, I was. "And eventually, last year I think, I touched base with him a little bit as well and saying that if there’s an opportunity to come over – if any of the clubs were looking. Ulster is somewhere that is close to my family and that’s the one that stuck out for us all." Addison impressed in his Guinness PRO14 debut for Ulster, against Scarlets, and supporters quickly realised the club had landed a quality player. 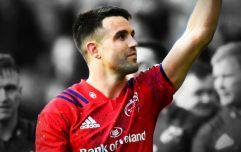 He played three times for Ireland in the November internationals and would have surely played in the Guinness Six Nations until, at a pre-tournament training camp in Portugal, an old back issue flared up. He will miss this weekend's Champions Cup clash with Leinster but is hoping to be back in the mix after that, and would dearly love if Ulster were still in the hunt for both trophies when he did return.